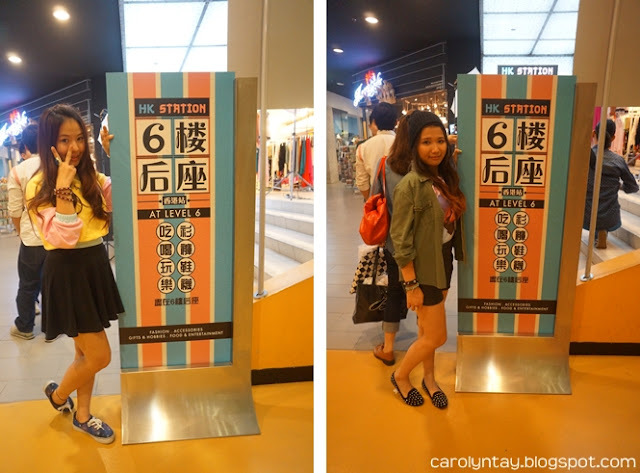 I was invited with a bunch of pretty bloggers to enjoy the Hong Kong shopping experience in Sungai Wang Plaza. We were each given shopping vouchers to pick up some of our favourite items there. 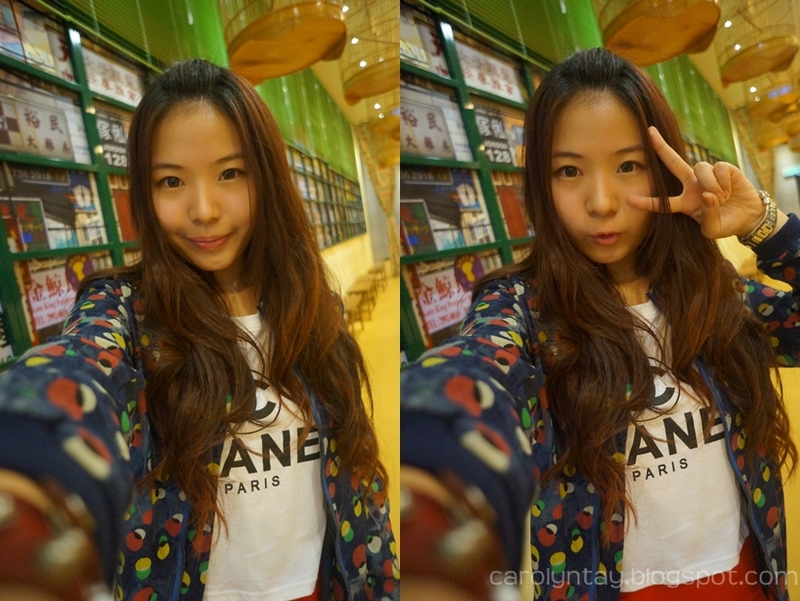 I must say that I love shopping in Sungai Wang, the clothing are affordable and you can find a lot of interesting items there! 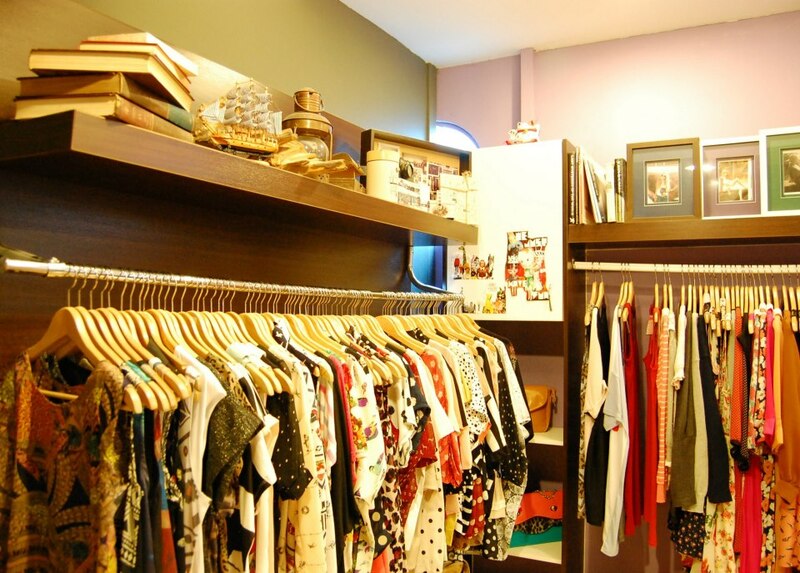 Some items are even cheaper then blogshops or online boutique, you can even try it on and feel the material. Before I show you what I bought with RM200, I want to explain the My Favourite Look contest & how you can stand a chance to win RM100 worth of shopping voucher! 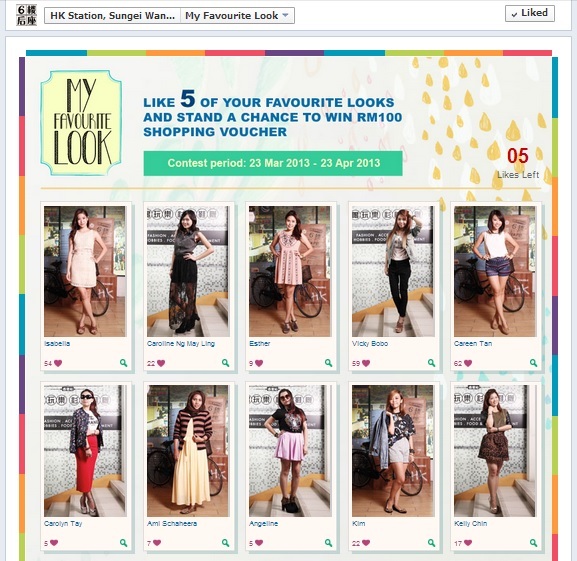 All you have to do is click here, register and vote for your favourite look (ME :D), you can vote for 5 looks! Every week between 23th March to 23th April, Sungai Wang will pick a lucky winner to win some shopping vouchers. My face is really round so without hair coverage that's why it's so round here! 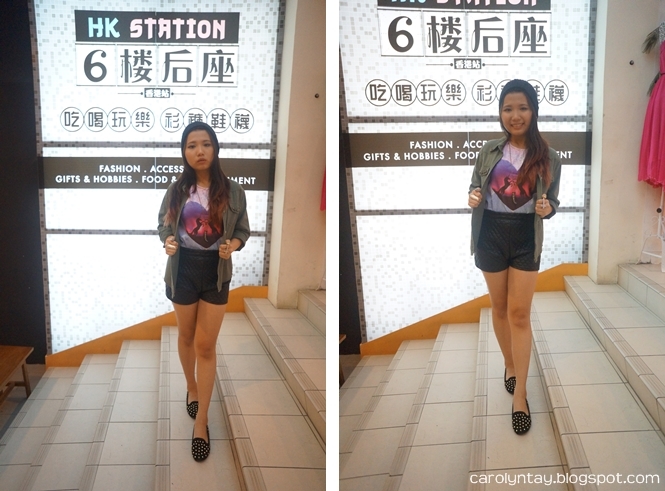 I bought the Wolf Top, Magenta Velvet Skirt and Pastel sweater from this shopping spree. 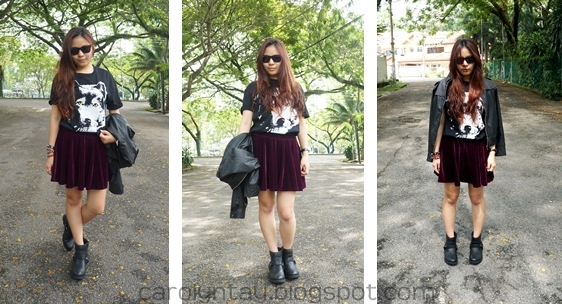 The wolf top's quality is really good and Stylenanda is selling it for USD30+ !! You can purchase it for half the price in HK station, Sungai Wang! ** You can catch the lifts from the yellow zone or orange zone to go straight up to HK station!